Here are some initial pictures from the Fort Negley activity this past Friday (December 10, 2004). 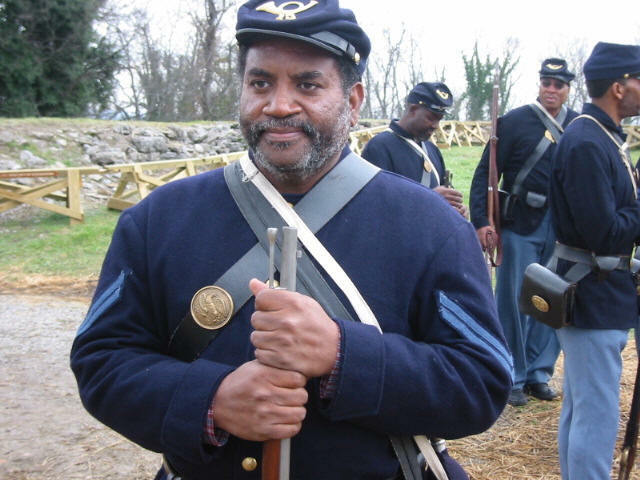 It was a great day for the 13th USCT. The first picture is with the mayor of Nashville. 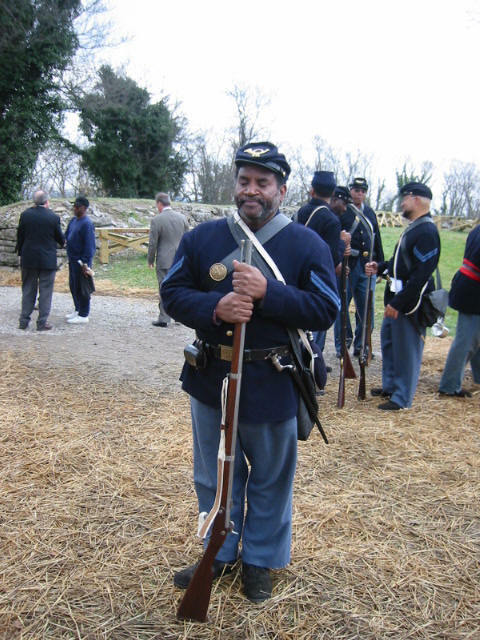 Next Saturday 12-18-04 the 13th will return to Fort Negley for our annual sun up to sun down vigil to commemorate the battle at Fort Negley on December 16, 1864. On this date the 13th begin the assault with 556 men and 20 officers. During the assault 220 officers and men, nearly 40 percent, were killed in a matter of minutes. This occurred when the supporting brigades fell back as the 13th began to charge up Overton Hill (or Peach Orchard Hill by the confederate army). The 13th was left defenseless with the confederate army of Tennessee able to direct fire from all sides on the 13th. 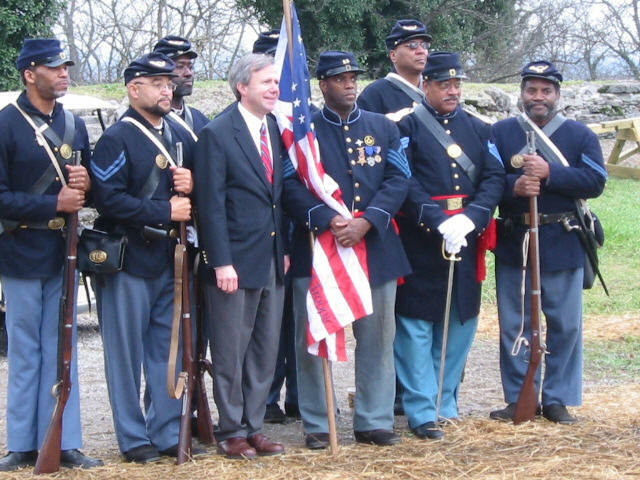 Confederate General Holtzclaw formally cited these colored troops for bravery in his official report, something that was almost unheard of during the Civil War. "They came only to die," he wrote, as they charged his position and faced "certain death." The assault by the 13th USCT was the bravest and costliest attack by a single regiment during the entire Battle of Nashville. No man on either side who witnessed this charge would doubt the courage of black troops ever again.